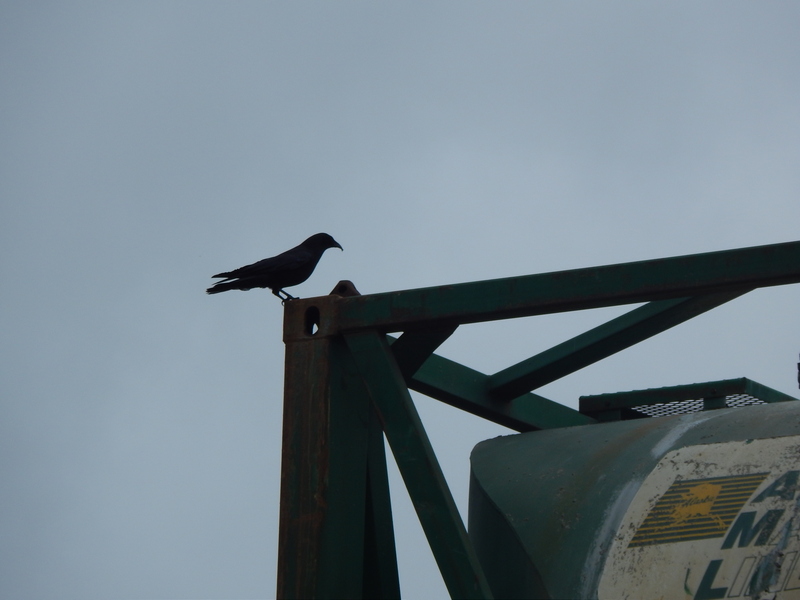 On my journey along West Marginal Way by the shipping container yards and the cement plant I encountered a small family of crows. Crows are ingenious in finding territory in which to raise a family and survive. 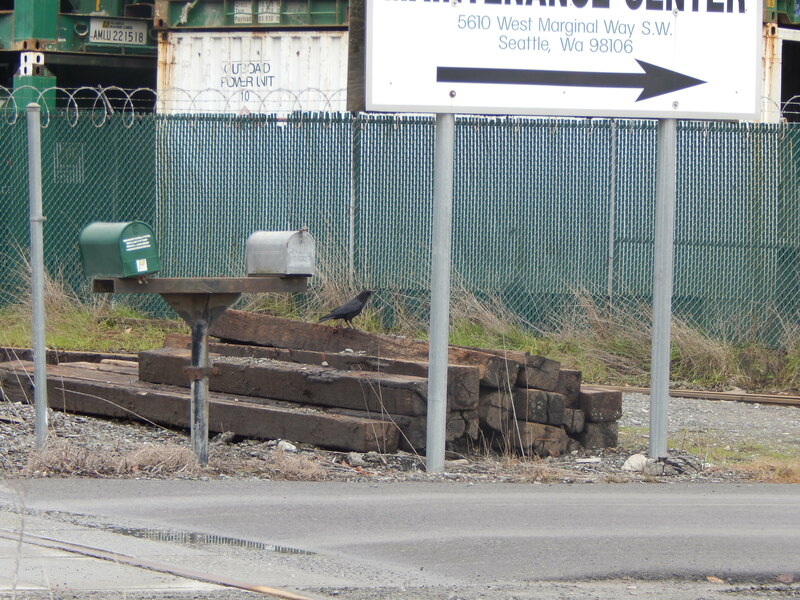 This industrial area has many crow opportunities for success with the forest across the street, the Duwamish River and the garbage we humans leave behind. 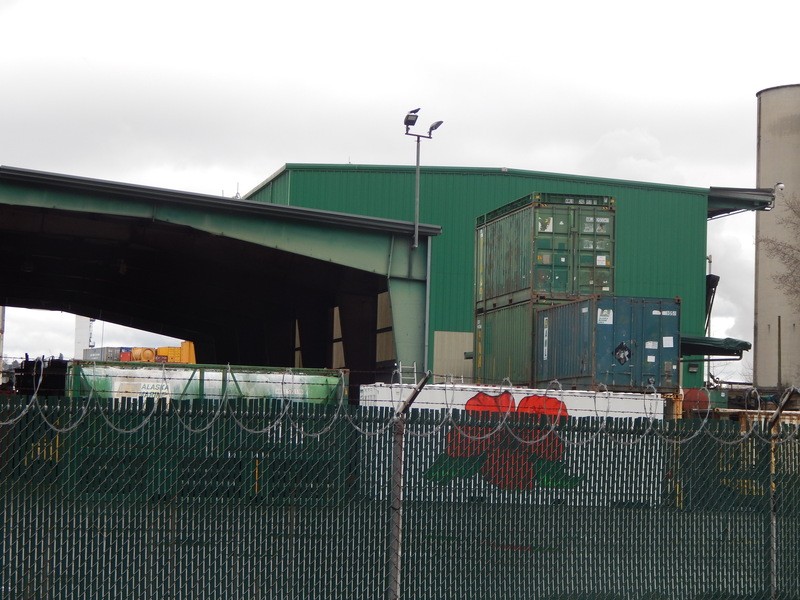 The container area also provides them with lots of places to perch and watch. 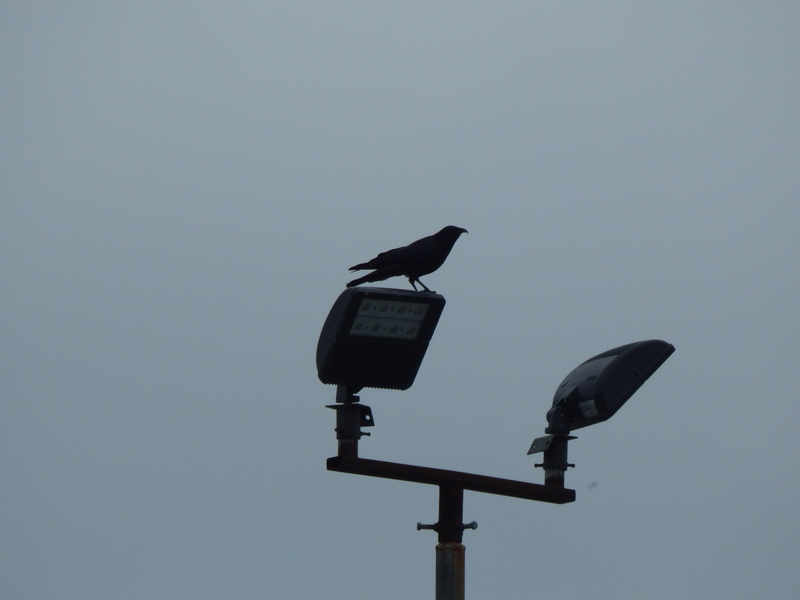 That is a crow favorite pass time, watching us humans. The crows who live in my community LOVE it when my neighbors put out their overflowing trash bins! I watch them, perched on a bulging garbage bag — inspecting their kingdom. They are very territorial. When they are aware of my watching them — they walk away.